Thrifty Crafty Girl made these clever faux candles. 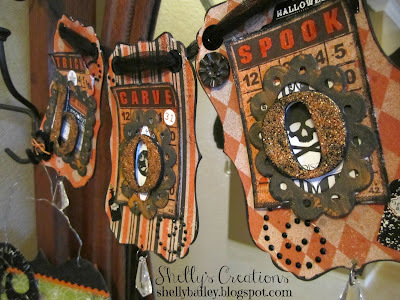 This ornate Halloween banner from Shelly's Creations is unique and beautiful. Get Your Crap Together made these super-cute pumpkin hot pads. These Oreo witch legs from Sweetology would make a perfect classroom treat. These googly eye headbands from The Crafty Blog Stalker add a creepy touch to any outfit. This Princess Merida costume from Sew Can Do is precious! Second Chance to Dream shared this adorable free printable. 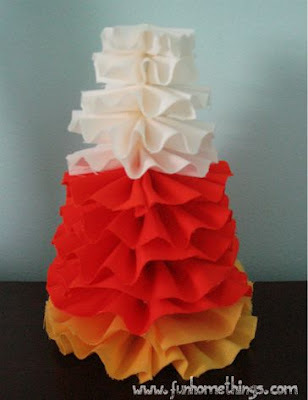 Fun Home Things put a new spin on candy corn with this fabric medallion candy corn. 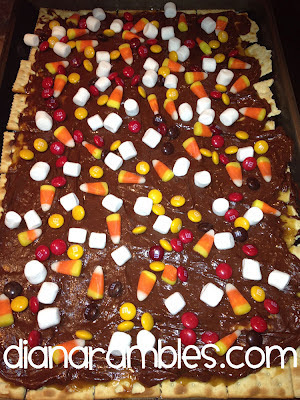 I bet this Halloween toffee bark from Diana Rambles is as fun to eat as it is to look at. 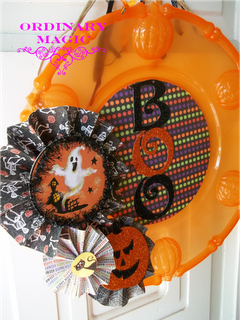 Mommy's Ordinary Magic whipped up this cute and inexpensive Halloween wreath. 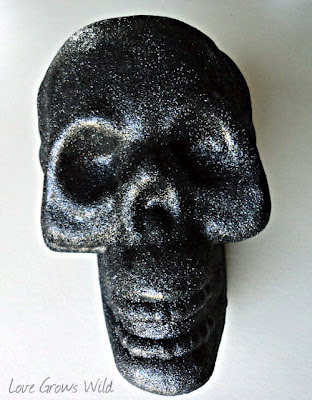 This glam glitter skull from Love Grows Wild really gets me in the Halloween spirit. How To Nest For Less shared this fun and colorful printable. These were all pinned to my Tuesday Confessional Features board on Pinterest. Are you following me yet?? Thanks so much for featuring me! The Halloween bark is fun to eat...too fun...too addicting!!!!!!!!! The BIG DEAL button is on my sidebar! w00t! Thanks for featuring my wreath! So glad to be part of your party and plan on joining in more often :) I added your button to my sidebar and the end of my wreath post. Thank you so much for the feature, how awesome!!!!! All the links are awesome and these features are really inspirational. Thank you for featuring my Google Eye Headbands! All of the other features are awesome too! Thanks for all you do! Thank you for featuring me! 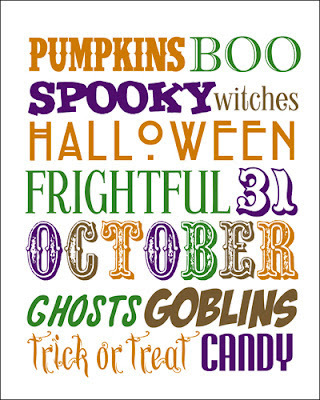 I sure love all the Halloween ideas. It makes fall so fun! 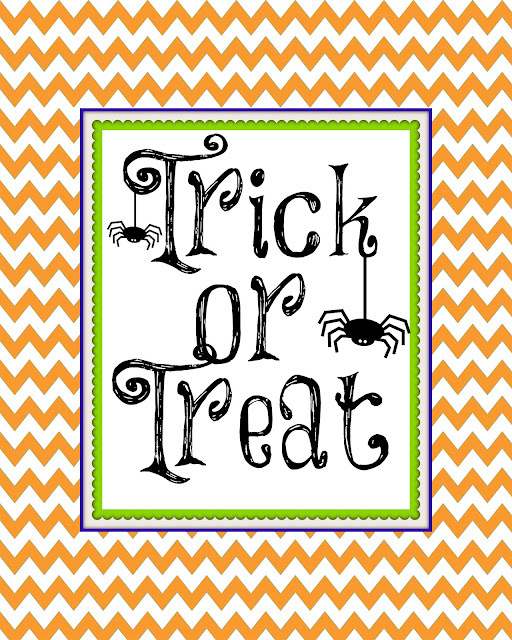 Great Halloween picks! I love that headband.